William Leslie (known as Leslie) was the son of William and Lydia Hadock who lived in Patricroft, Greater Manchester. Before the war he worked at the CWS (Co-operative Wholesale Society), Balloon St, Manchester as a drapery salesman. He enlisted on 3rd Sept. 1914 aged 21 with C Company of Manchester Regiment (17th batt.) and became a sniper. Leslie was wounded in the shoulder at Trones Wood on The Somme on 9th July 1916 and admitted to the 3rd Canadian General Hospital at Bologne. The following day he was evacuated to England on the Hospital Ship Cambrian and taken to the David Lewis Northern Hospital, Great Howard St, Liverpool. 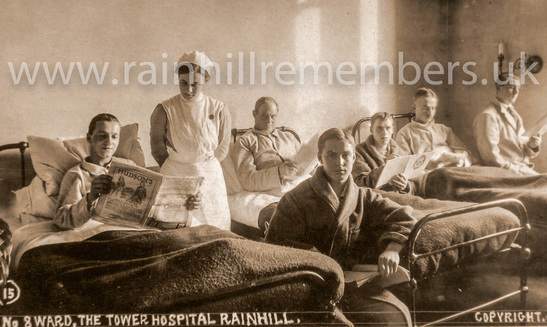 He was then sent to The Tower VAD Hospital, Rainhill. After the war he returned to work for the CWS in Manchester and during the 2nd World War he served as a Lieutenant with the Home Guard. Leslie died aged 75 in 1969.